An all-too-familiar mantra to any student studying Social Work. As professional problem-solvers, we understand that the key to implementing real, effective change, whether on the individual or organizational level, must involve these steps, especially evaluation. I would know for I serve as Program Evaluation VISTA at Food Recovery Network (FRN). It is a fancy term to describe the examination of a program’s effectiveness. As important as the work is to the infrastructure of any initiative; the work, itself, can often be tedious and anti-climatic. Throughout the webinar, I felt as if I was apart of Massachusetts’ evaluation team’s effort to understand what the data was saying. As FRN continues to enhance the services we provide to students and businesses, I look forward to empowering our Network through our evaluation goals. For instance, we love receiving Food Tracking Forms (FTFs) because they provide both a numerical and narrative picture of chapters’ recoveries. As my VISTA term continues, I plan to contribute my data analysis to FRN’s evaluation goals to strengthen our support to the network. The state’s evaluation plan included surveys, state-wide listening sessions, in-depth community member interviews, and spatial analysis. With access to a diverse toolkit, the evaluators were able to collect rich quantitative and qualitative data that created a comprehensive picture of the intervention’s public impact. As an evaluator nerd, nothing is better than understanding our network from a big picture. I love examining the relationships among student chapters, partner agencies, food donors, FRV accounts, financial donors, Board of Directors, and alumni - that is what makes us a network for food recovery! 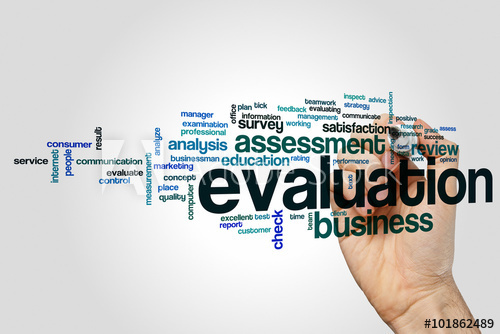 Managing a diverse evaluation strategy can be challenging, but rewarding. The presence of goals and diversity creates unity. A unified evaluation strategy is what I witnessed in the webinar. Their big picture produced rich understanding of the status quo of the state’s intervention and the future trajectory of the program. As I continue my time at FRN, I strive to connect our FTFs, End of Semester surveys, partner agency surveys, food donor surveys, and other evaluation measures to paint our big picture. The Massachusetts Food is Medicine State webinar was a valuable experience; it allowed me to connect with fellow evaluators and professionals in the food system to understand a program’s effectiveness and impact. Qualitative and quantitative evaluation creates a goal-driven, diverse and unified strategy that produces the clearest picture of a program’s success and defines how to move forward in the most effective way. As I reflect on how I can incorporate the webinar’s lessons into my workflow, I am inspired by the message Evan Ponchick, co-founder of FRN, shared with FRN National during our professional development series. Evan recounted his experience building the University of Maryland chapter and one of the stories involved his evaluation of the food recovery data. After reviewing the spreadsheets and communicating with the dining hall, he discovered that there was still food left to recover! He and his chapter used the data to revise their recovery model. Fast forward to 2019, University of Maryland recently celebrated their 250,000th pounds recovered; a massive milestone! Because of the effective use of evaluation measures, we as a network can enjoy chapters’ creative strategies to fight waste and feed people. I challenge you to identify one action where you can use evaluation to enhance your creation! Older PostChildren in Need: Who’s Helping?